We are a small team of caring professionals that strive to provide excellent customer service. We pride ourselves on having worked together for many years and believe in being courteous to each other as well as to our patients. 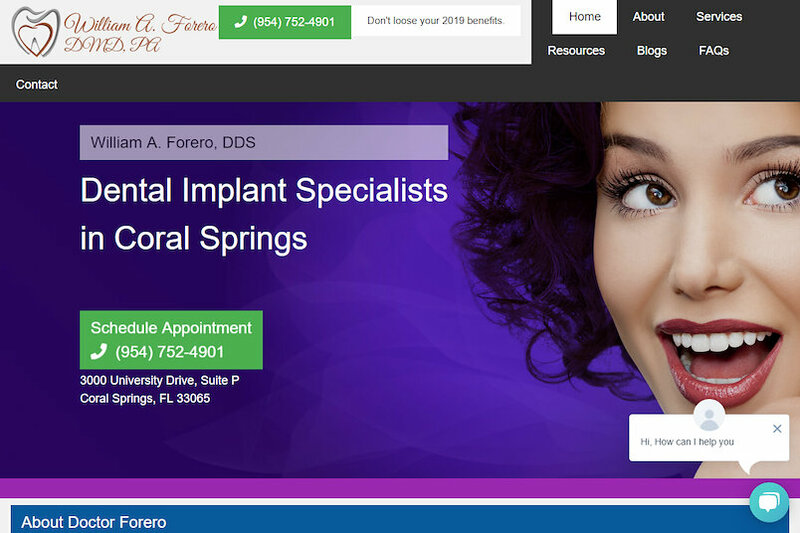 When you visit the office of William Forero DMD, PA, you should expect a very experienced dentist, a friendly attitude and a well-mannered team of dental professionals. FREE In Office Whitening with the purchase of an Implant! Call today to set up your appointment with our dentists and to learn more about what sets us apart!